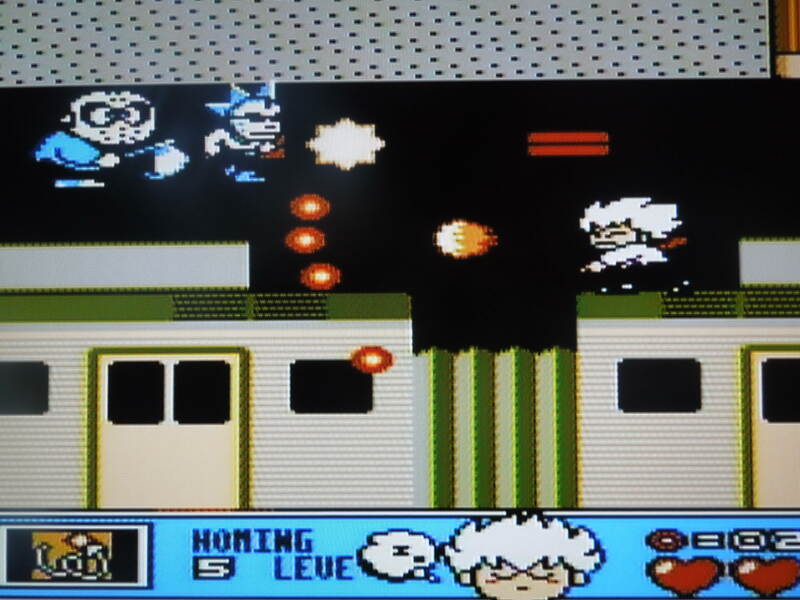 Note: This game was played on the retrousb AVS (HDMI output). The game was only released in Europe, and the AVS has an option to switch to PAL settings so it can be played! 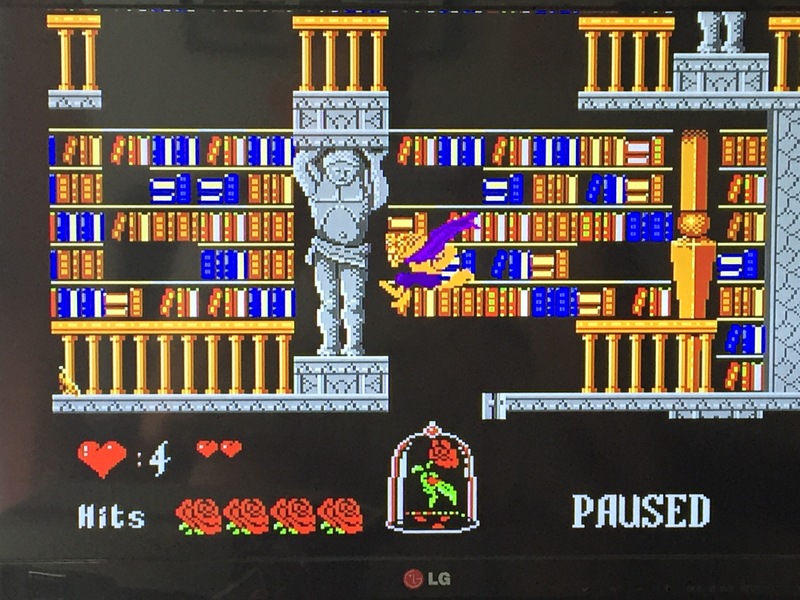 I tried playing on my regular NTSC Top Loader, and the game has terrible glitches. The system was attached to a 19 inch tv. Brief History: I always wanted this game stemming from the August 1994 edition of Nintendo Power magazine. I loved the movie, and I remember that issue particularly because there was, at that point, almost no mention of the NES anymore, being well into the hayday of the SNES. I didn’t realize until recently that the game never even made it to a U.S. release, but I ordered a copy from Germany, and it’s in English. Movie music? 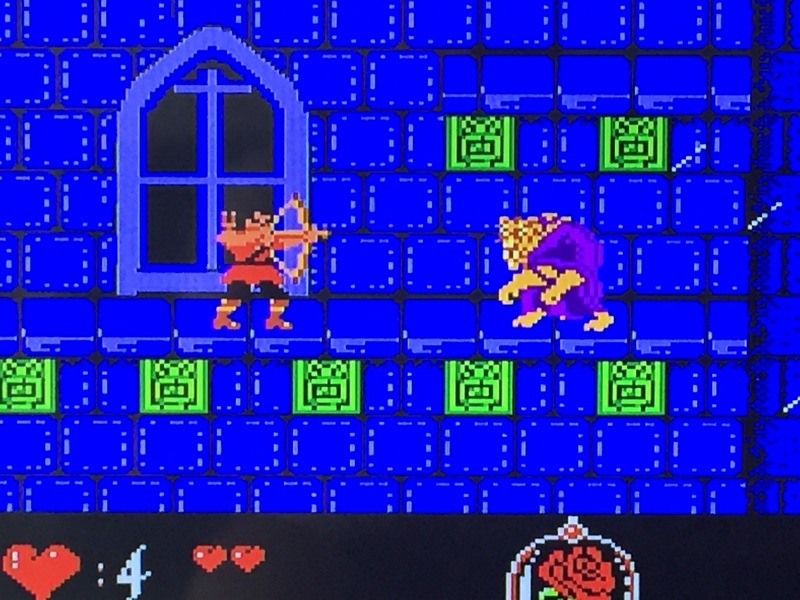 Unlike the SNES version (which is far worse than this one otherwise), this version only plays the ‘Beauty & the Beast’ song in the opening. Otherwise, it’s generic, not-so-great music. 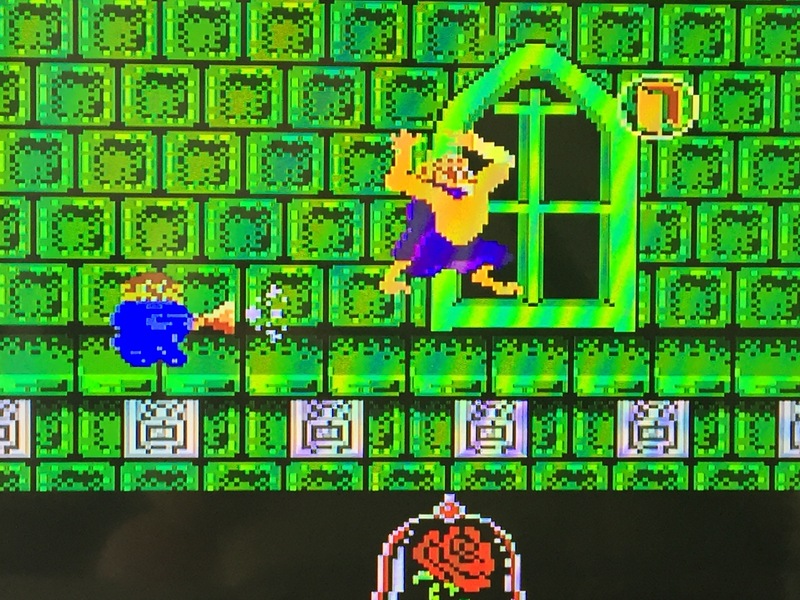 Gameplay: Jump, punch, and growl (freezes enemies) your way through 4 levels to ultimately punch Gaston off the top of your castle, win Belle’s love, and turn back into a human. 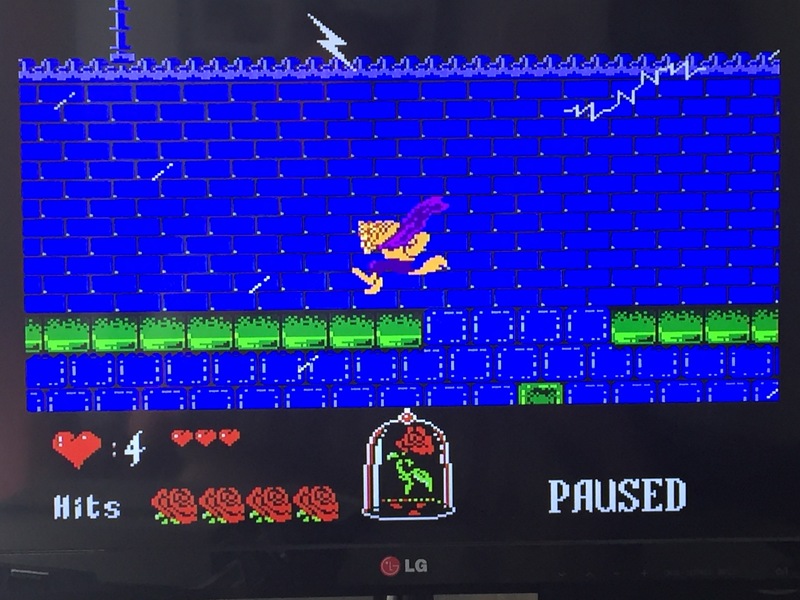 Each level has multiple parts, many of which require multiple playthroughs to master, but nothing impossible. Beast is clunky to control, but learnable. The game took me a couple of weeks to beat, playing here and there. The AVS has no save states, or anything like that, which I prefer – gotta beat it the old fashioned way – trial and error, angry words, and perseverance. Difficulty: This is subjective, I know. At first play, it has parts that appear to be ridiculously hard, but they just take practice. Once you know where to go and how to react, you could beat the game in 25 minutes, no problem. 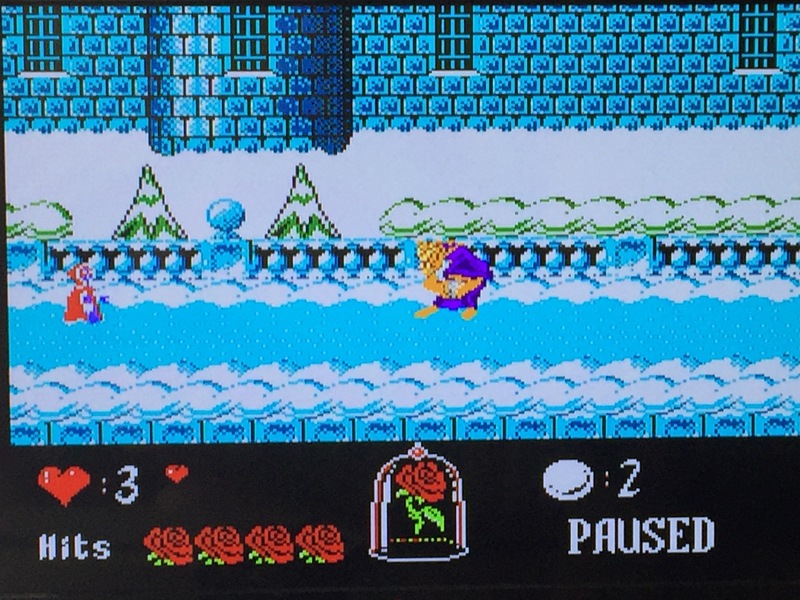 The level where you have to catch the snowballs from Belle almost made me give up the first 5 times, but now it’s easy as can be. The Southern Gentleman’s Opinion and Letter Grade: C. This one is for fans of the film who want something different in the world of Beauty & the Beast. 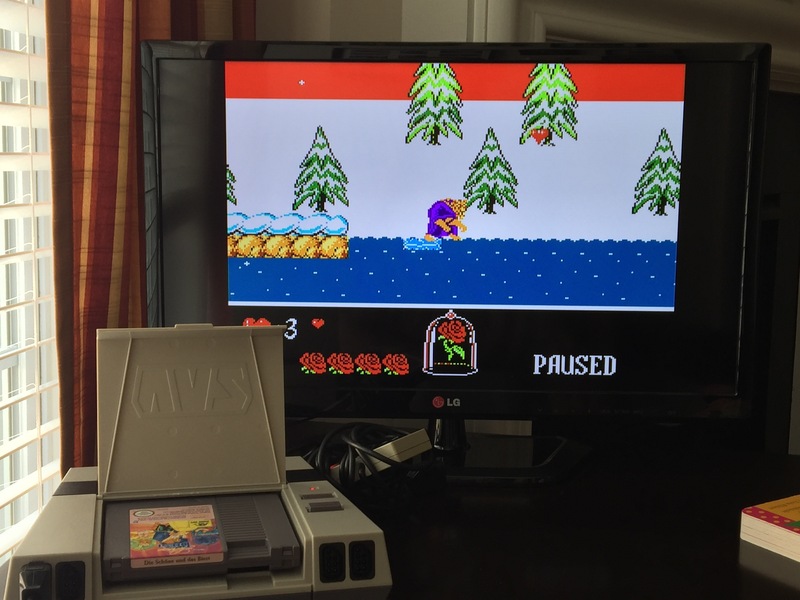 Much more enjoyable than the SNES game, but nothing special, that’s for sure. 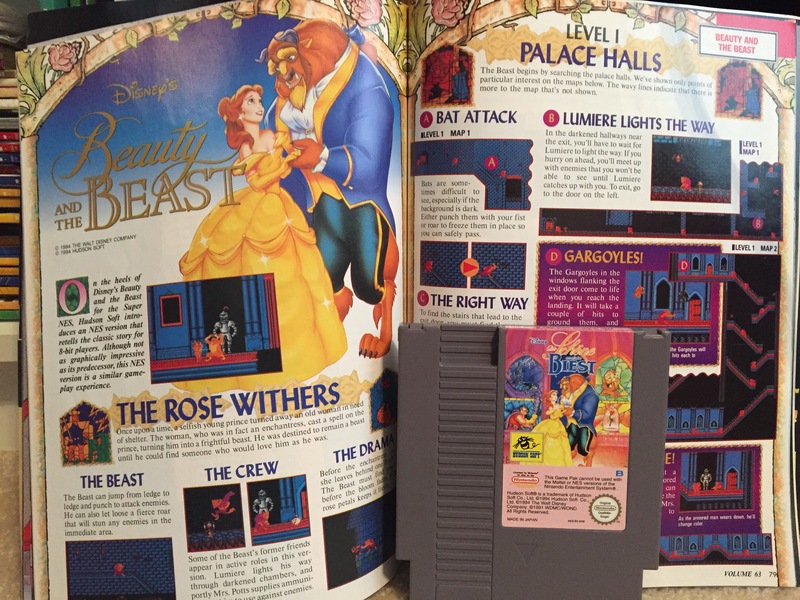 This entry was posted in 0, NES - Beauty & the Beast. Bookmark the permalink.